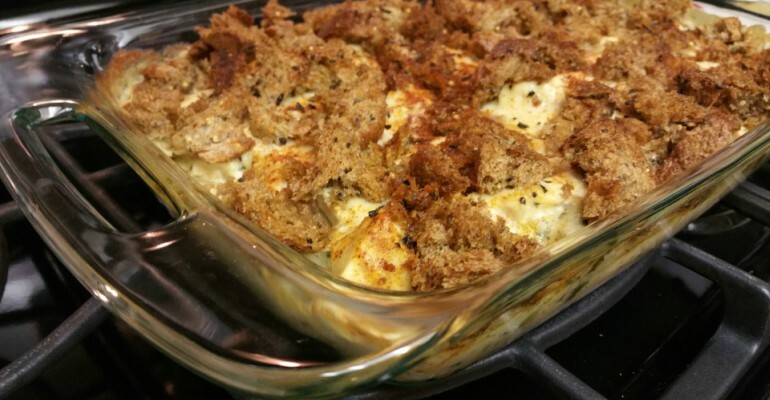 What is chicken cauliflower casserole? An invention of a meal by my husband….the king of my castle. The best part about this dish is that you can play with it, too! Feel like adding some broccoli as well? Go for it. Maybe some tater tots, too? By all means. The possibilities with this dish are endless and you can make a creation that is all your own! 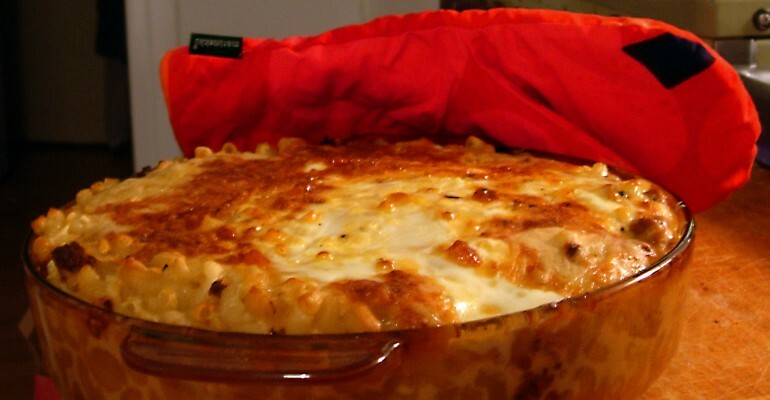 This is one of my family’s favorite casseroles – once you’ve tried it, you’ll understand why. This is also a great way to add some greens in your picky eaters diet. It’s so tasty, they won’t even notice it includes vegetables! Preheat oven to 350o and lightly grease a 9-13-inch baking dish with butter or non-stick spray. Place cauliflower in a large saucepan with 1 inch of water over medium heat. Cover and steam until just tender. Drain cauliflower and place in a large bowl. Add chicken and cheese to bowl and toss together. Heat olive oil in a medium pan over medium-high heat. Add spinach and garlic and cook until wilted. Season with salt and pepper. Add spinach to chicken and pour in beaten eggs. Season again with salt and pepper. Pour mixture into baking dish and place in oven. Bake for 25-30 minutes, or until set and edges begin to brown and pull away from the side of the dish. Quick tip: Use turkey instead of chicken, if you’d like.